A scrum-half also comfortable at full-back, Tigers academy graduate Harry Simmons is another young player to join the club from the Norfolk area. Educated at Gresham’s School, he played his age-group rugby at Holt and represented Norfolk, Eastern Counties and London & South-East at age-group level but missed out on an England Under-16 call due to injury. 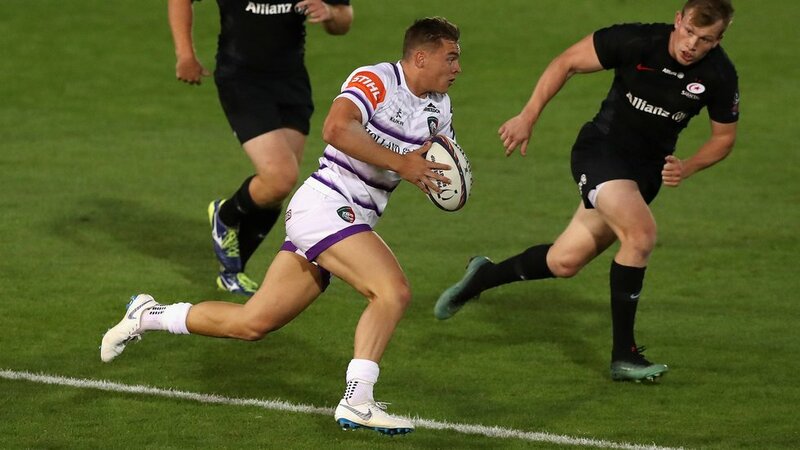 After joining Tigers from school, he progressed to the development squad in 2016/17 and gained senior experience in National One with Loughborough Students as well as playing in the Premiership ‘A’ League. A first-team debut followed in November 2017 and at the end of the term he was chosen as Young Player of the Year by his team-mates. From a sporting family, his dad Mark captained Holt, Norfolk and Eastern Counties while Harry’s two brothers have also represented the county. Harry represented Norfolk in the National Athletics Championships, winning gold in the long jump plus silver medals at 100 and 800 metres. He also played county hockey and gained selection for the Norwich City FC academy.